Like this Kitchen design Very much! 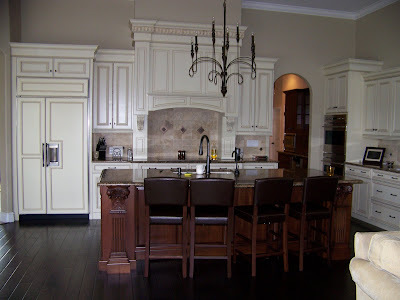 Love the cabinets and the floors! What a difference removing that soffit made! Wonderful and daring transformation. The rest of the space is unseen, but it appears you not only provided a focal point for the kitchen but one for the overall space by adding some great architectural detail. And some rich color. Kudos! Great work!